Staargazer by Nancy Rink Designs. Fabric used are from the Holly Woods collection by 3 Sisters for Moda. Finished size is approx. 89" x 94". 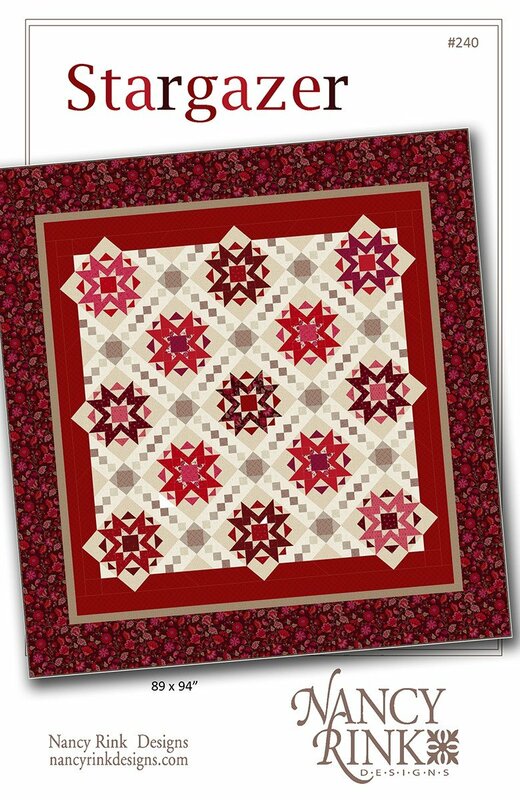 The kit will include the pattern and directions, all the fabric to complete the quilt top and binding fabric.